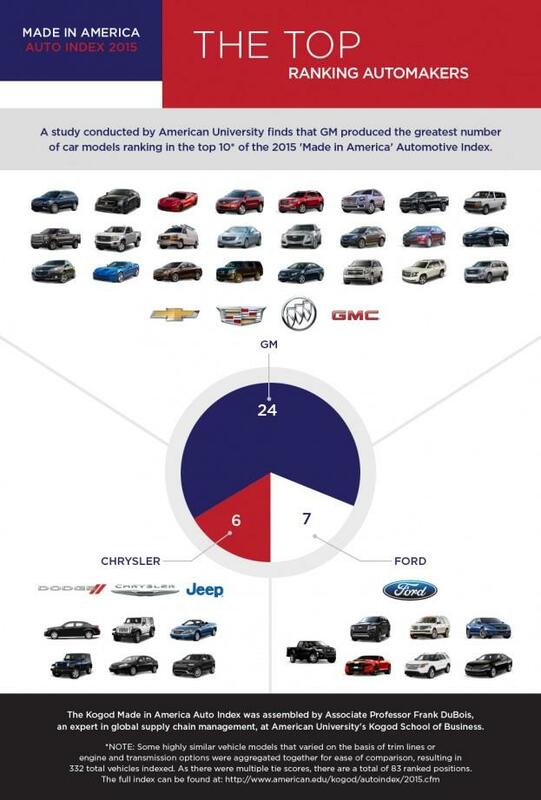 A study conducted by American University finds that General Motors produced the greatest number of car models ranked at or near the top of the 2015 ‘Made in America’ Automotive Index. General Motors, for the third straight year, leads the Made in America Automotive Index, published by American University’s Kogod School of Business. The Kogod index is considered the most comprehensive in the industry, ranking models based on seven different data points. The Buick Enclave, Cadillac CTS, Chevrolet Corvette, Chevrolet Traverse, GMC Acadia and Acadia Denali and all tied for number 1. 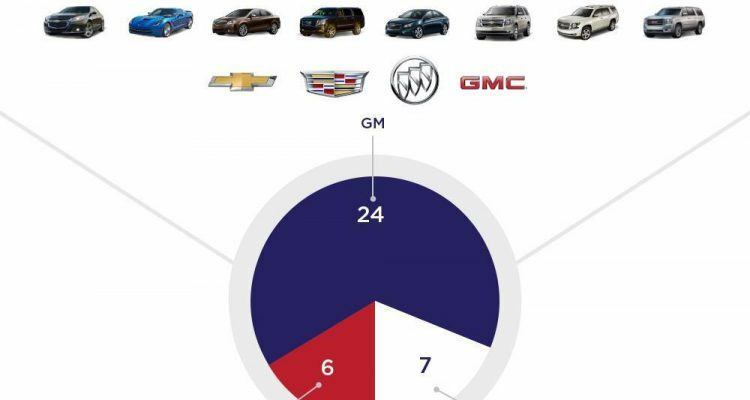 18 other GM vehicles ranked in the top 10 including the Chevrolet Colorado and Malibu and the Cadillac Escalade. The index is authored by Frank DuBois, a global supply chain management expert and professor at American University. 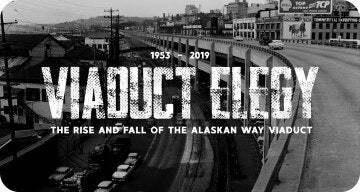 DuBois developed the list based on data from the National Highway Traffic Safety Administration, along with the location of the company headquarters, design, research and development and where profits are ultimately recorded. Current data from Consumer Reports shows nearly 80 percent of Americans would prefer an American made product. No Comments on "General Motors Leads American Made List"